MRO Hi-Torque bit that typically fits 5/16-24 size Hi-Torque recess fasteners including first and second oversize, plus 3/8-24 reduced head style fasteners. MRO Hi-Torque® Recess Bit was designed for high installation and removal torques. MRO Hi-Torque® Recess Bit also features a shallow recess for use on 120° and 130° flush fasteners in thin skins. MRO Hi-Torque® Recess Bits also reduce the need for end-load of the driver by the operator while installing and removing screws. MRO Hi-Torque 10 piece bit pack bit, recess size: 1, 1/4'' female square drive, 1.00'' OAL. Typically fits 3-48, 4-40, 5-40, and 6-32 thread size standard head, and also 8-32 reduced head style Hi-Torque recess fasteners. MRO Hi-Torque 10 piece bit pack bit, recess size: 2, 1/4" female square drive, 1.00'' OAL. Typically fits 8-32 standard head, and also 10-32 thread reduced head style Hi-Torque recess fasteners. MRO Hi-Torque 10 piece bit pack bit, recess size: 3, 1/4" female square drive, 1.00'' OAL. Typically fits 10-32 size Hi-Torque recess fasteners including first and second oversize, plus 1/4-28 reduced head style fasteners. MRO Hi-Torque 10 piece bit pack bit recess size: 4, 1/4" female square drive, 1.00'' OAL. Typically fits 1/4-28 size Hi-Torque recess fasteners including first and second oversize, plus 5/16-24 reduced head style fasteners. MRO Hi-Torque 5 piece bit pack, recess size: 6, 3/8'' female square drive, 1.25'' OAL. Typically fits 3/8-24 size Hi-Torque recess fasteners including first and second oversize, plus 7/16-20 thread size reduced head style fasteners. The MRO HTS6-5PK #6 Hi Torque Recess 5 Piece Bit Pack is one of thousands of quality tooling products available from MRO Tools. 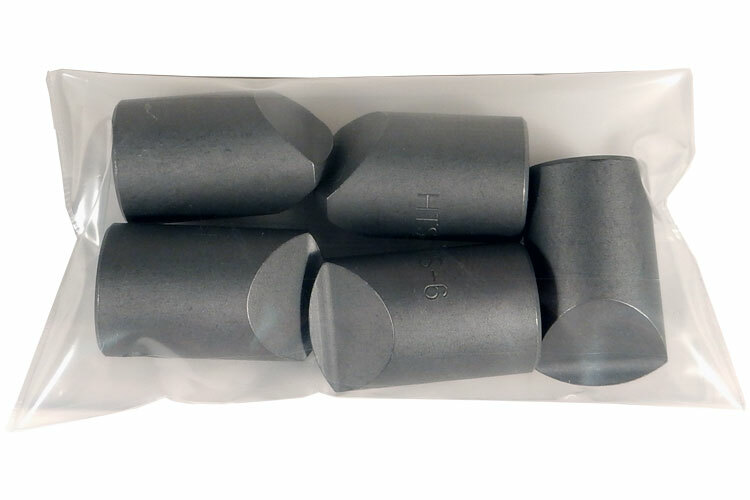 Please browse Quality Generic Bit Packs for tools similar to the MRO HTS6-5PK #6 Hi Torque Recess 5 Piece Bit Pack. MRO HTS6-5PK #6 Hi Torque Recess 5 Piece Bit Pack description summary: MRO Hi-Torque 5 piece bit pack, recess size: 6, 3/8'' female square drive, 1.25'' OAL. Typically fits 3/8-24 size Hi-Torque recess fasteners including first and second oversize, plus 7/16-20 thread size reduced head style fasteners. Quantity discounts may be available for the MRO HTS6-5PK #6 Hi Torque Recess 5 Piece Bit Pack. Please contact MRO Tools for details.